We received a call two weeks ago from Tameside4Good who said they had nominated us for the "Community Engagement" Award in the Pride of Tameside Business Awards 2014. It was to recognise what we had done to help them and the local community over the last year or so. 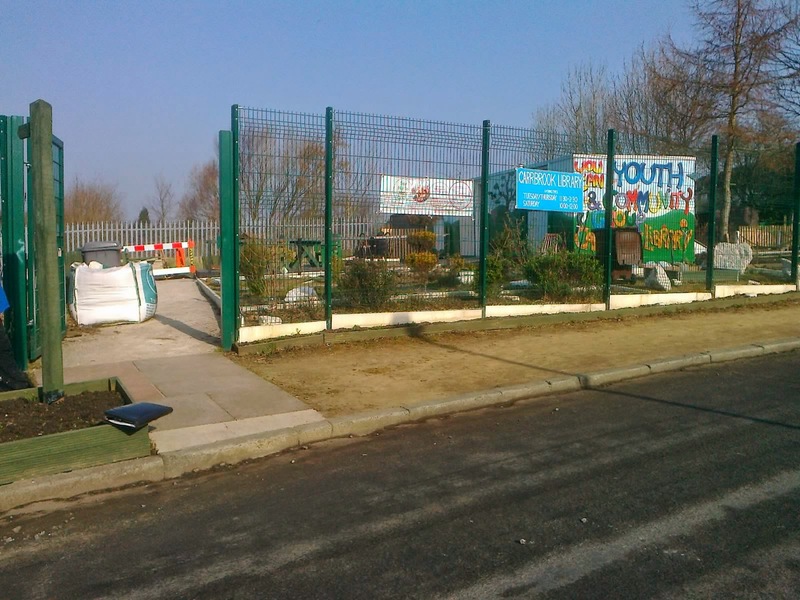 This included donating two office desks to local charitable groups, providing fencing to the You Can Youth Community Project (see below) and also weld mesh to the Wooden Canal Boat Society in order to build a cage for safe storage of gas canisters. (See our post on this blog from 9th May). More recently, Gareth Sykes, our MD, had also been involved in the Enterprise Challenge with Tameside4Good and Tameside College encouraging enterprise students to "build" a business and help with their projects and then judge the results which happened last week. We were shortlisted against another local company and invited to attend the black tie gala dinner and awards ceremony which took place in the Jubilee Hall of Dukinfield Town Hall on Friday 6th June. It is an event now in its fourth year, organised by Tameside Council together with sponsors to recognise local businesses and what they offer. The night was a great success with fantastic entertainment and food before the awards themselves…. We are pleased to say we won the award and were extremely proud to pick this up and be amongst a number of other great local businesses. As a result of this, myself and Gareth (below) had an interview with Lizabeth Bohler for Tameside Radio which was broadcast the following morning. So, it just goes to show that through giving back every now and then and helping the local community, good things can happen. Look beyond the day-to-day workings of your business and see how you can make a difference.